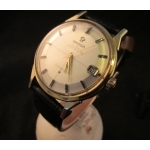 Near mint condition early (1968) "Constellation" in gold capped stainless case, observa..
Hamilton Cross Country. 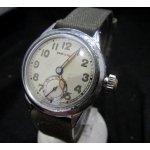 Very nice all original Ca. 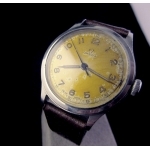 1956 Cross Country with 5 time zones. 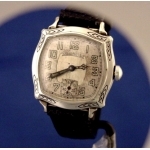 Case is ..
Near mint condition on this all original Elgin asymetrical in white gold filled case. Dial is in .. 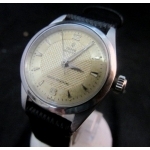 Very high condition on this all original Tudor Oyster from 1954. 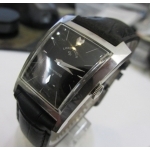 Case is stainless steel with Rol..
Case is in good condition with nice original crown a little wear to back. . 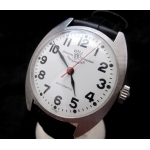 Dial is original in b..
BALL Official Railroad Standard in Like New condition with box car style dial. Case is all stainl.. 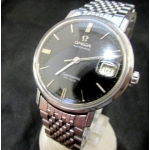 Wonderful condition on this stainless steel Omega Seamaster with Sea Monster back from 1966. 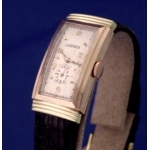 Been..
Longines 14k Pink and Green Gold HOODED LUG .. 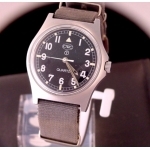 Very high condition on this over sized war period Omega produced in 1944. Case is lar.. 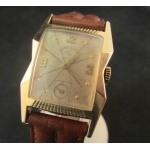 Outstanding LeCoultre from WWll, Ca. 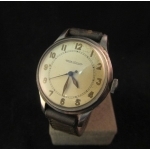 1940 with original dial and hands. 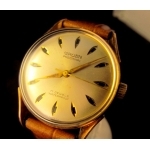 Case is steel..
Near mint condition on this 1950 Elgin Sycamore. 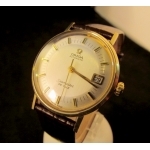 Movement is a 21 jewel, calibe..
Omega "Seamaster" Ca. 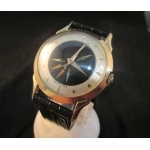 1971 &..
Gruen Day/Night Jump dial Very neat a..